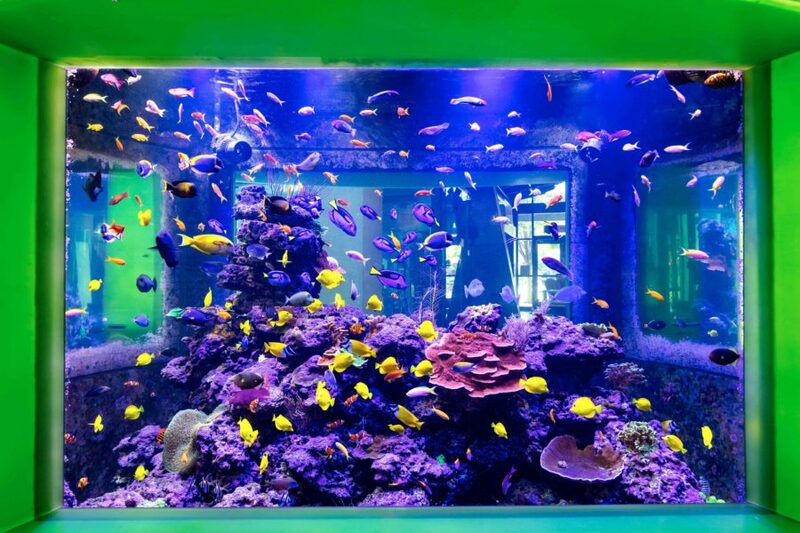 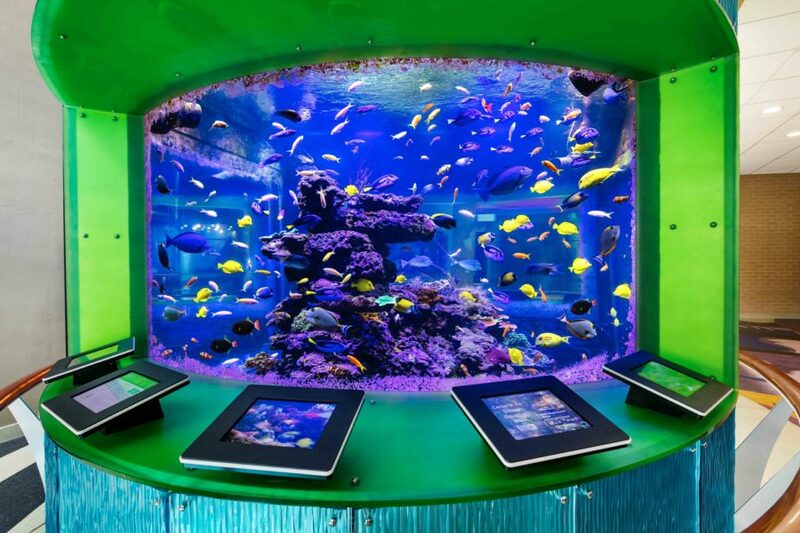 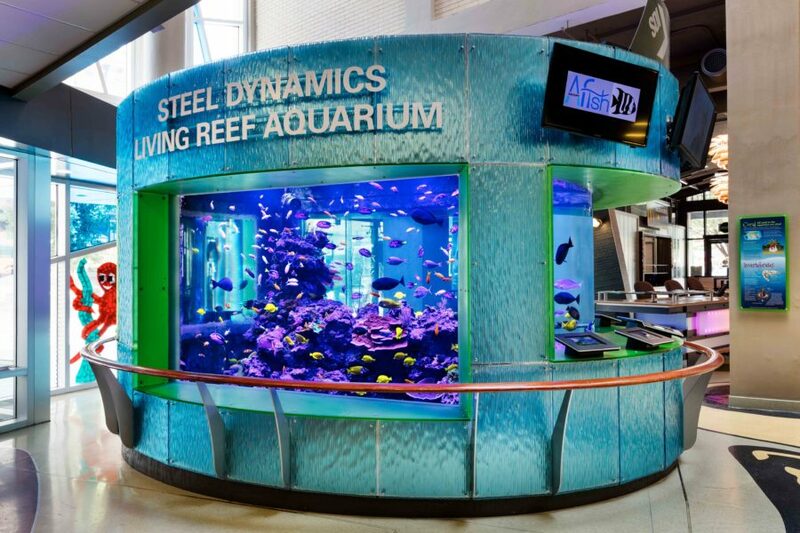 Center In The Square - REEF AQUARIA DESIGNREEF AQUARIA DESIGN | Every great room deserves a great aquarium. 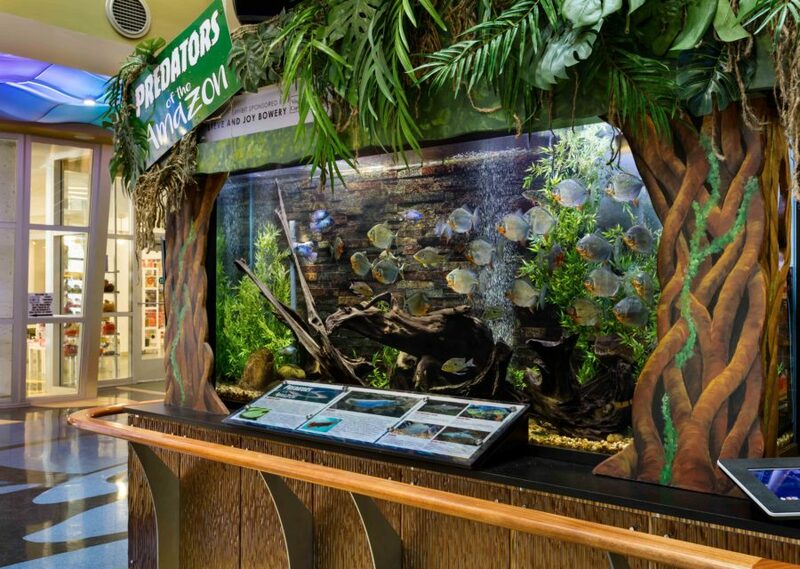 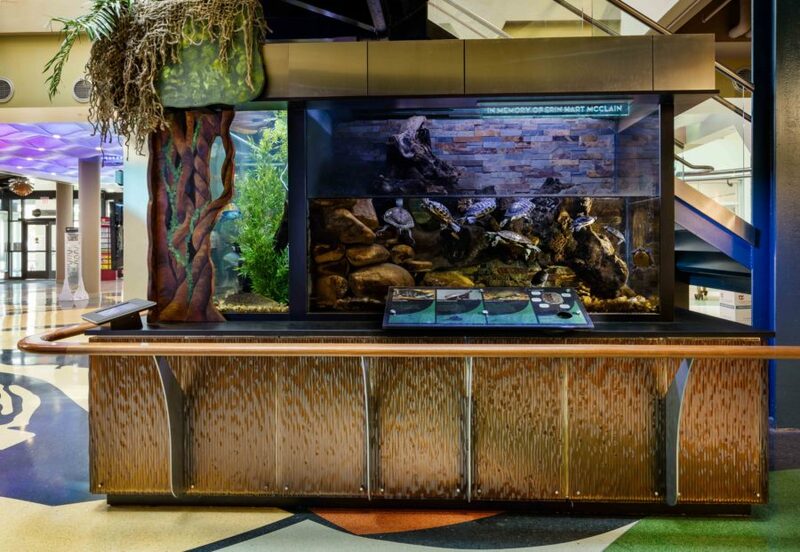 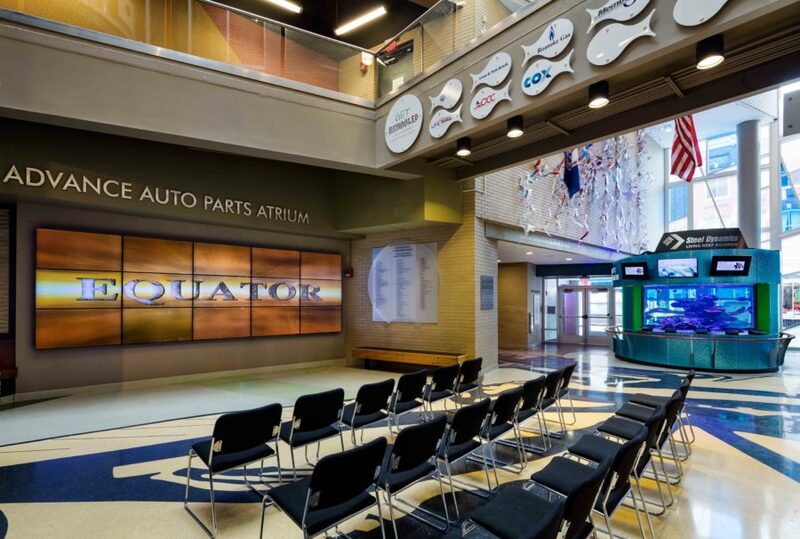 RAD was approached by the Western Virginia Foundation for the Arts to design, fabricate, and install a variety of ambitious aquariums as part of their multimillion dollar renovation of Center in the Square, Roanoke’s cultural and educational hub. 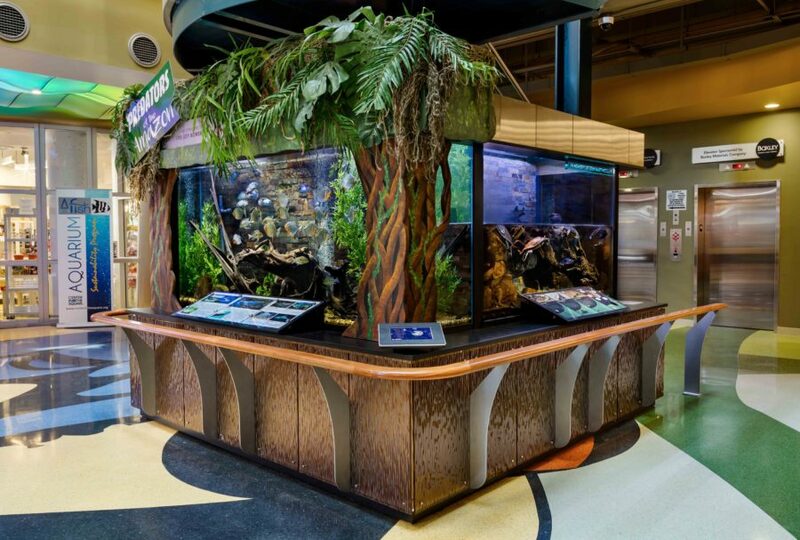 The overall project consists of twin 500 gallon freshwater habitat aquariums that display local life native to the nearby Roanoke River, twin cylindrical 300 gallon moon jellyfish aquariums, a 400 gallon mangrove estuary seahorse aquarium, and the centerpiece 6,000 gallon living coral reef aquarium. 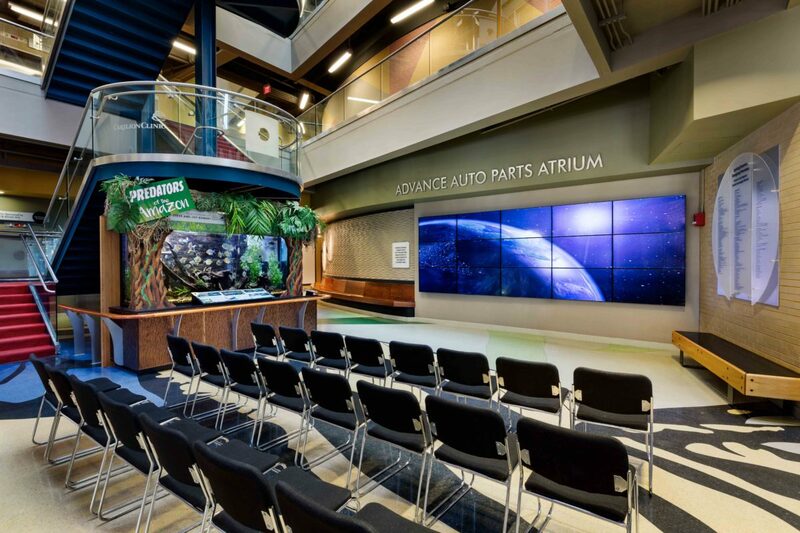 RAD invested 3 years into this project and the results are stunning. 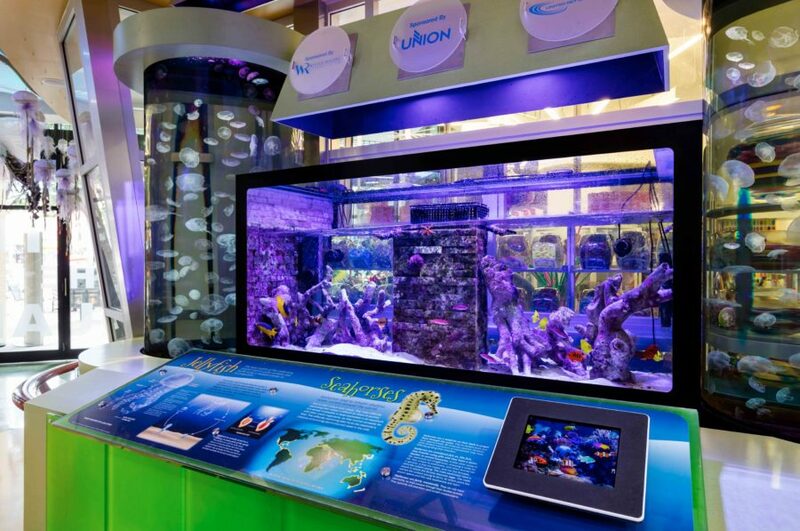 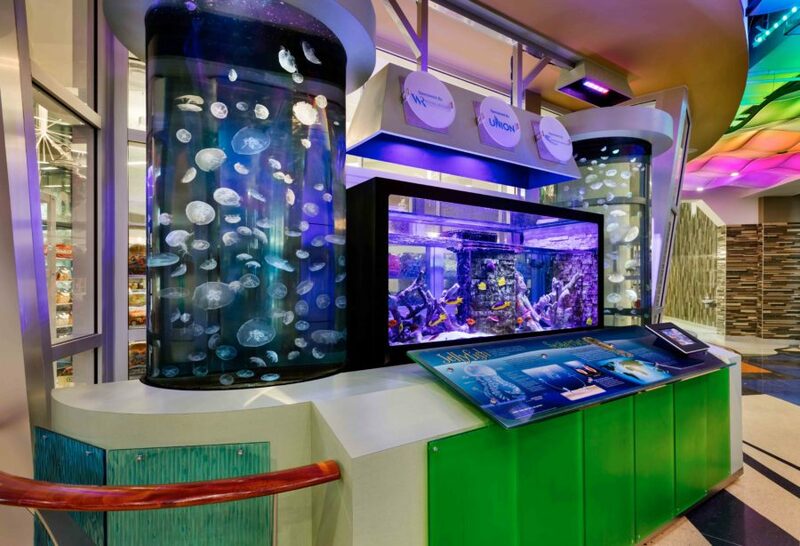 The aquariums serve as the perfect welcoming ambassador to the hundreds of guests who visit Center in the Square, which features several museums and the region’s only live performance theater. 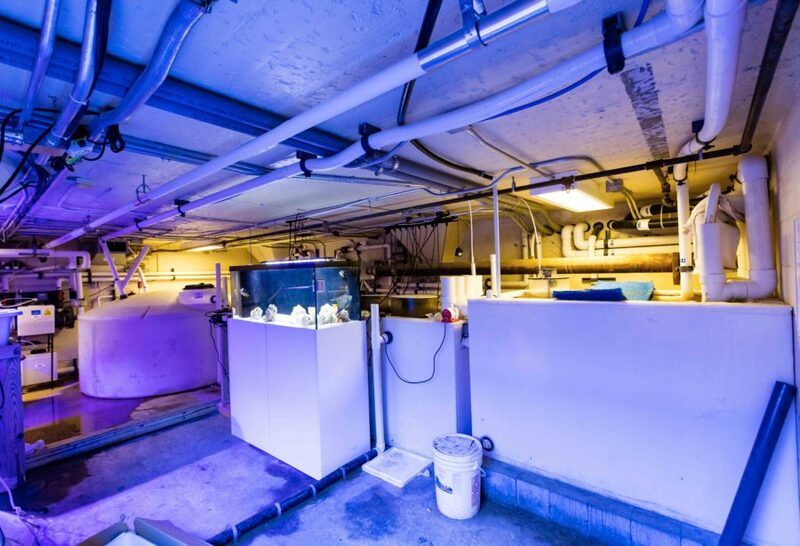 The aquariums are supported by a 1,200 square foot aquatic filtration lab that houses all life support, filtration, and research equipment.